Marvel and DC aren’t the only ones expanding their cinematic universes. Over at Fox, the X-Men franchise is very much alive and kicking. We’ll see X-Men: Apocalypse next year, and a Gambit solo movie shortly after that. Star Channing Tatum dropped a clue about whether or not we’ll see the creole mutant in Apocalypse. I don’t know if I’m at liberty to say, but I think we want to… I don’t think I want to introduce Gambit until you can really explain who Gambit is. As far as the super secret world of comic book adaptations go, this has become a pretty standard style of answer. Tatum doesn’t provide any hard evidence, he never says, "this is what’s happening," but the way he dances around, the indication certainly appears to be that it’s possible you’ll spy Gambit in X-Men: Apocalypse. That’s also probably as solid an answer as we’re likely to get before we actually sit down in a theater to watch the movie for ourselves. It also doesn’t provide any clarity about what, if he does show up, his role will be. The character Gambit, played by Taylor Kitsch, does appear near the end of 2009’s X-Men Origins: Wolverine, so audiences aren’t entirely unfamiliar with him. Perhaps he will similarly show up for a moment or a scene or two in Apocalypse, just to reintroduce the character and pave the way for his movie. If we had to bet, however, we’d put our money on him showing up in one of those ubiquitous post-credits scenes, like how X-Men: Days of Future Past chose to introduce us to Apocalypse, even before Oscar Isaac was cast in the role. 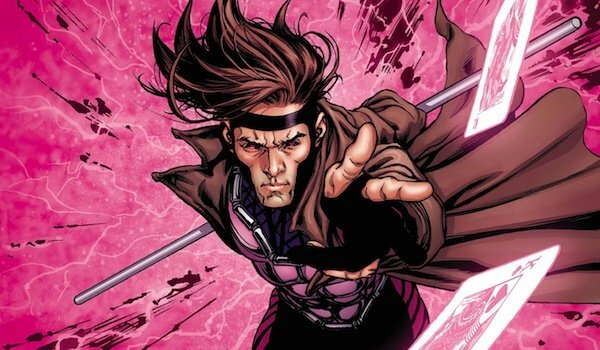 Also known as Remy Etienne LeBeau, Gambit is a mutant who hails from New Orleans. His superhuman power is the ability create, control, and manipulate kinetic energy, bending it to his will in all sorts of fun ways. He’s also a gambler and excellent at throwing cards, and you often see him essentially charging up cards with power and flinging them around as explosive weapons. If Gambit and Channing Tatum do show up in X-Men: Apocalypse, it won’t be a huge surprise. That film opens May 27, 2016, and at the moment, Gambit is slated to follow a few months later, on October 7, 2016. With two films dropping so close to one another, it makes sense that Fox might want to use Apocalypse to introduce Gambit, prop up that movie, and then strike while the character is still fresh in the public memory.